This message from Wake Forest University President Nathan Hatch was emailed to students, faculty and staff on March 18. Welcome back to the final half of the semester. As we resume our activities, I want to provide an update to the messages I sent before Spring Break and while some of you were away. On Tuesday, March 12, Wake Forest’s volleyball coach was indicted as part of a national investigation into an alleged bribery and cheating scheme. The Justice Department’s review has found that Wake Forest, and the other schools involved, were targeted by a con man and his clients in the largest admissions scandal they have ever prosecuted. As the indictment outlines, the pressure to attend a top-tier university led some people to take desperate and illegal measures. At Wake Forest, we have purposefully tried to create a holistic, rigorous and thoughtful admissions process that allows us to get to know individual candidates and the varied talents, skills and experiences they could bring to our community. This scandal has provoked a full range of emotions around the country and on our campus and sparked a conversation about the fairness of college admissions processes. I commit that Wake Forest will continue to invest the talent and resources of many to ensure the integrity of our admissions process and our institutional expectations for ethical conduct. I am also committed to responding to the undercurrent of doubt that exists at the heart of the national news stories and in the emails I have received: doubt about access, equity and belonging. In recent discussions, Wake Forest students have challenged me to acknowledge and address these issues on our campus. Prior to spring break, I met with students and agreed to designate a lounge for the Black Student Alliance in Kitchin Residence Hall. Additionally, the Office of Diversity and Inclusion will redesign diversity education opportunities leading up to and during New Student Orientation week. Training in unconscious bias and other ways to enhance a sense of belonging among all on campus will also be formally incorporated into student leader training, to include Student Government, fraternity and sorority life and other student organizations. 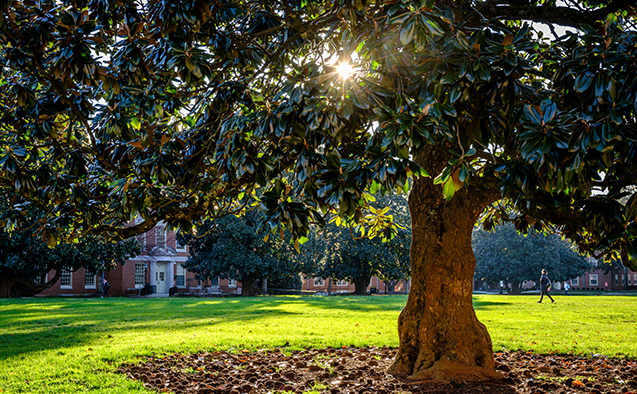 We will accelerate and expand the work of a group of faculty, students and staff to explore and share with our community a full and honest history of Wake Forest, focusing in particular on slavery and its implications. We joined the Universities Studying Slavery Consortium and continue to work across our entire community to ensure that all voices are well represented. We will continue to work hard to diversify our community, building on greater diversity among our students faculty and staff—and to enhance our sense of belonging among all Wake Foresters. Last week, I made the decision to redirect the $50,000 that Wake Forest received from the Key Worldwide Foundation to the Magnolia Scholars program in support of first-generation college students. I am charging our director of athletics and our dean of admissions to focus their attention jointly on reviewing and fortifying our admissions process. They will report to me regularly on enhancements to and compliance with processes and policies. Wake Forest is better for each of you sharing your perspectives, experiences and talents with our campus. Thank you for caring deeply about our University and choosing to make this community your home.